As The Flash moves into the back half of its fifth season, a new promo teases an animalistic showdown with Central City caught in the crossfire. 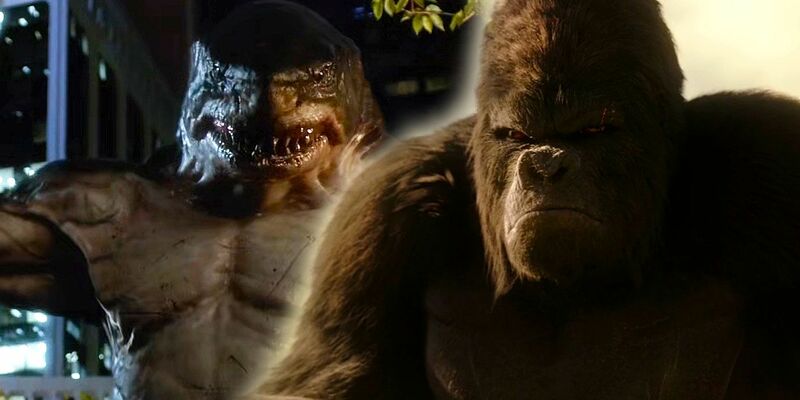 A teaser video released by The CW for an episode to premiere on Tuesday, March 5 shows King Shark lurking below the city's harbor while Gorilla Grodd plans his own destructive comeback, leading to a confrontation between the two beastly villains. "King Shark versus Gorilla Grodd, are you kidding me?!" exclaims Iris West-Allen as she receives an update on her phone about the fight. The fight was teased earlier this season with Barry and Iris' daughter from the future, Nora, briefly mentioning a battle between the two longtime Flash villains would take place. Showrunner Todd Helbing had previously admitted the series had attempted to pit the two against each other before Season 5 only to postpone the battle due to budget concerns.